Описание: Серия обучающих пособий на развитие академических навыков владения английским языком для абитуриентов и студентов колледжей и университетов. Каждый учебник посвящен определенному навыку. Серия выдержала 3 издания - 2004, 2007, 2012. На этой странице Вы сможете скачать материалы второго и третьего (New Edition) изданий. The Garnet English for Academic Study Series - a university preparation course published in association with the University of Reading. 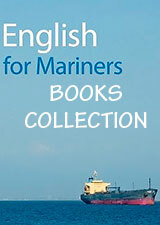 The EAS series comprises eight separate EAP Course Books, covering the essential skills for English-medium study. The series has been designed for students on pre-sessional and foundation courses within an IELTS range of 5.0 to 7.5+..
English for Academic Study: Writing - will help you develop the academic writing skills you need to deal effectively with the written element of your academic study, as well as to develop other important skills such as reading research and critical thinking. Each unit explores a key aspect of writing and teaches it in the context of a specific topic area, e.g., Food security and Sustainable fashion. The tasks in each unit prepare you to write an essay that will consolidate the writing skills you are learning. Authentic texts in the accompanying Reading & Writing Source Book provide useful and interesting background information for each topic area covered. The Course Book includes unit summaries to give you a quick overview of what you have covered, and a comprehensive glossary of terms. Each unit also has weblinks offering additional information and activities, relating to both writing skills and the topics covered in the units. English for Academic Study: Reading - is designed to challenge and stimulate students on pre-sessional and pre-departure courses. The Course Book contains step-by-step activities written by EAP professionals at the University of Reading’s International Study and Language Centre. The activities are designed for use with authentic reading texts in the accompanying EAS: Reading & Writing Source Book. EAS: Reading is based on an extensive review of recent research into EAP writing methodology, and reflects the most recent developments in language teaching for academic purposes. English for Academic Study: Reading & Writing – Source Book - accompanies the EAS: Reading and EAS: Writing Course Books, which can be studied separately or together in an integrated course. The EAS: Reading & Writing Source Book contains authentic and up-to-date academic texts that will help prepare students for academic life. Each text covers an interesting and topical issue, with the aim of challenging and stimulating the reader. 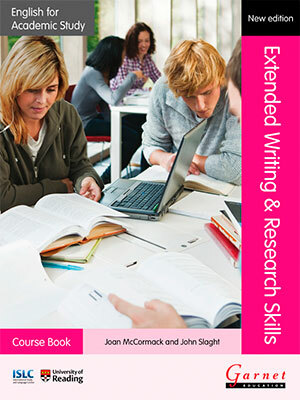 All texts are a suitable length and level for academic study, and are designed for use with the Course Books. They will help to develop both reading and writing skills. English for Academic Study: Vocabulary - will help you expand and develop the vocabulary skills you need to participate effectively and confidently in all academic situations. Each unit introduces you to key academic words and illustrates how to use information in a dictionary to gain a more effective and appropriate use of vocabulary. This book is intended for self-study outside the classroom and includes a complete answer key and an achievement test so that you can monitor your progress. English for Academic Study: Speaking - will help you develop the speaking and presentation skills you need to participate effectively in academic seminars and discussions. Each unit includes discussions and presentations that relate to the topic of the unit. The written and listening texts will give you different perspectives on the topic and provide evidence to support your ideas – one of the essential features of academic life. There is also a learner diary at the end of each unit to help you think about the process of learning and the strategies you are developing. English for Academic Study: Pronunciation - will help you develop the pronunciation skills you need to communicate clearly and effectively in an academic environment. Each unit explores a key aspect of English pronunciation, for example, the pronunciation of individual sounds, syllables and word stress patterns. The written and listening texts, which focus on key academic vocabulary, will allow you to practise your pronunciation so that you can be understood with ease. EAS: Pronunciation includes unit summaries to give you a quick overview of what you have covered, and a comprehensive glossary of terms. Each unit also has weblinks offering additional information and activities, relating to both pronunciation skills and the topics covered in the units. English for Academic Study: Listening - will help you develop the listening and note-taking skills you need to participate effectively in academic lectures and seminars. Each unit includes video and audio recordings of authentic lectures from a range of academic fields, including banking, development economics, marketing, psychology and linguistics. These have been recorded in a genuine academic environment and are a perfect way to prepare for English-Medium study. English for Academic Study: Grammar for Writing - is a graded self-study course that will help students improve their academic writing. It will build their confidence in understanding and using grammar for written assignments, so they can write accurate English and communicate more effectively in academic contexts. EAS: Grammar for Writing starts at a relatively low level, recognizing that many students require continuing practice of common grammatical problems in academic writing (such as subject-verb agreement, or the use of present simple and present continuous). It gradually increases the level of challenge so that by the end of the book students can use appropriate grammatical structures to express more complex academic ideas. English for Academic Study: Extended Writing & Research Skill - will help develop the practical skills you need to tackle extended essays and projects and encourage the development of an independent approach to studying. The units take you step by step through the process of producing an extended piece of academic writing. Authentic source materials, model answers and detailed advice are included to help support and guide you. This course will require you to apply skills and strategies you have already studied in order to help you complete a project independently.